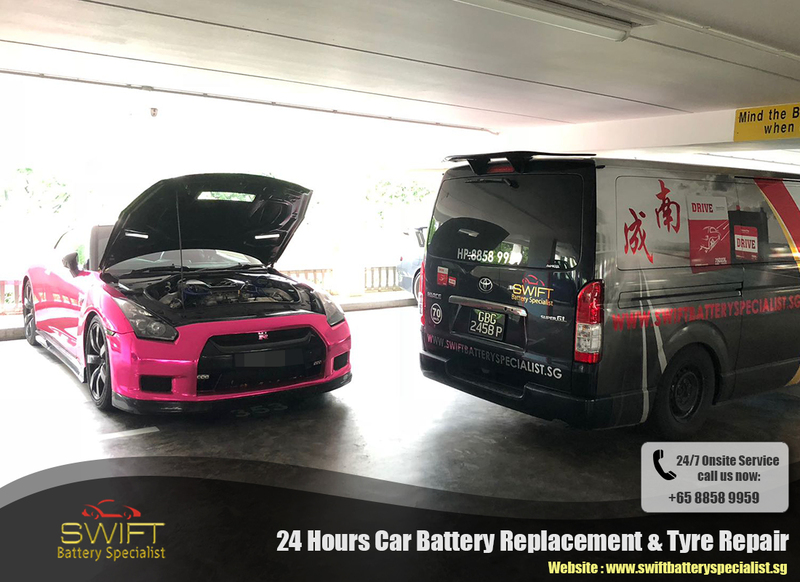 Swift Battery Specialist provides onsite 24hrs Car battery replacement, Car Battery jump start and Car Tyre repair services in Singapore Islandwide. 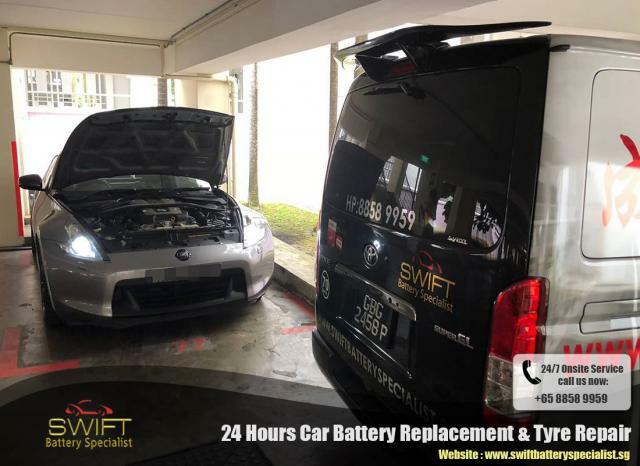 We are the specialist in the automobile field that will fix your car break down issue with our onsite recovery team. 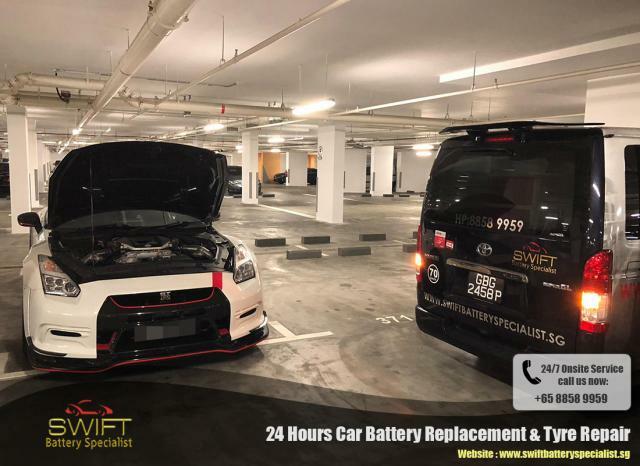 Premium selected Car Battery that will last longer and better performance by Swift Battery Specialist Professional Team. Fresh stock ALWAYS AVAILABLE no matter what car you drive. 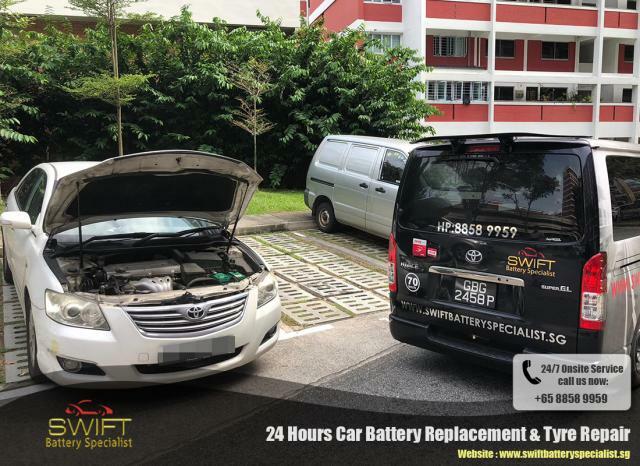 24 Hours Singapore Islandwide support and reach within 30-45mins or lesser. 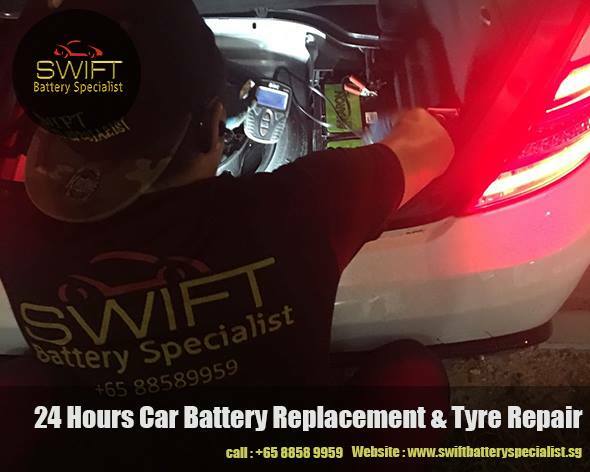 Average Car Battery Replacement, Car Jump start and Car Tyre repair time only 5-15mins. FREE Phone call diagnostic and troubleshooting. 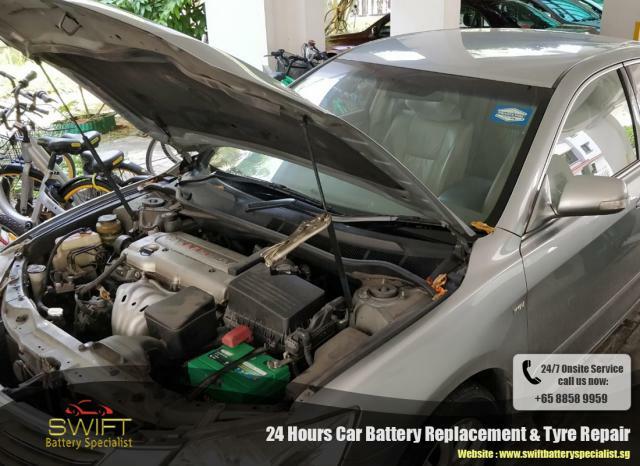 All Car Battery comes with warranty. Swift battery specialists mechanics standby all over Singapore and provide 24hrs car battery servicing. 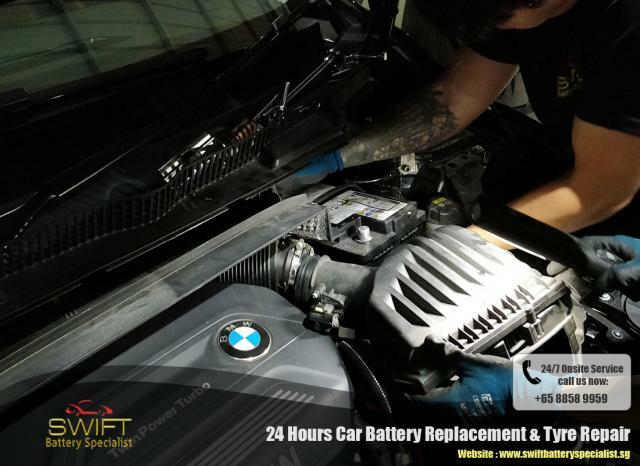 Our 24hrs car battery replacement service speed is as fast as 5 minutes time and arrival time within 30 minutes. Rest assure, If we are able to Jump Start your Car Battery we will assist to save up the cost of changing the whole battery! Price Start from as low as $120! 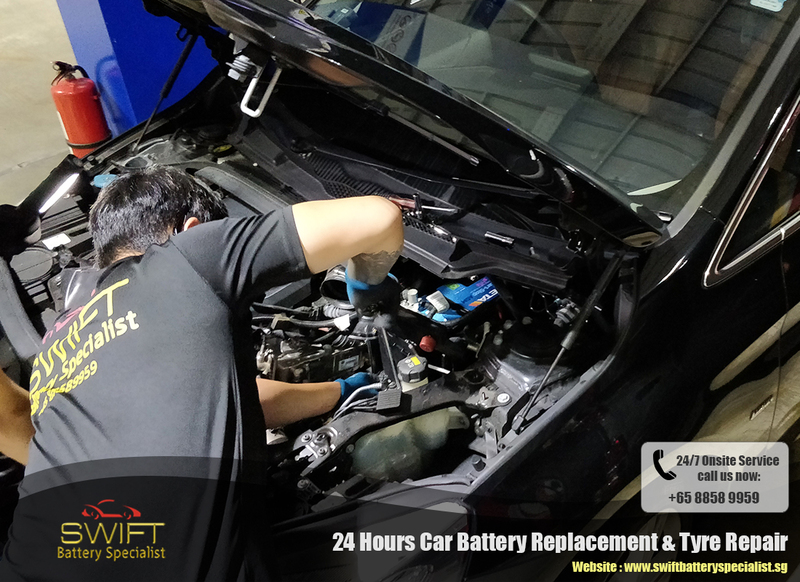 Our Swift Mechanics are all professionally trained in performing Car Battery Jump Start. 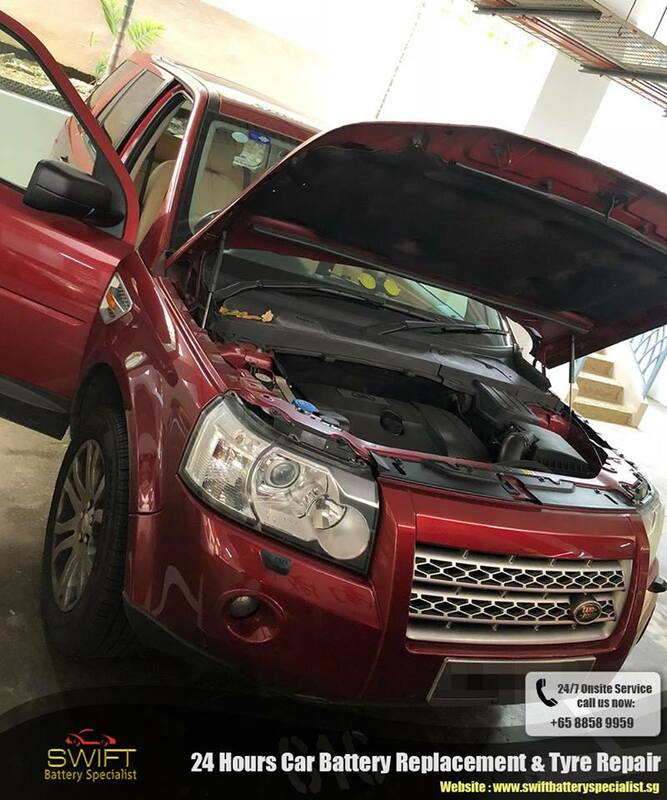 Without proper safety precautions and knowledge, it could damage your car and you will end up paying more repair cost! 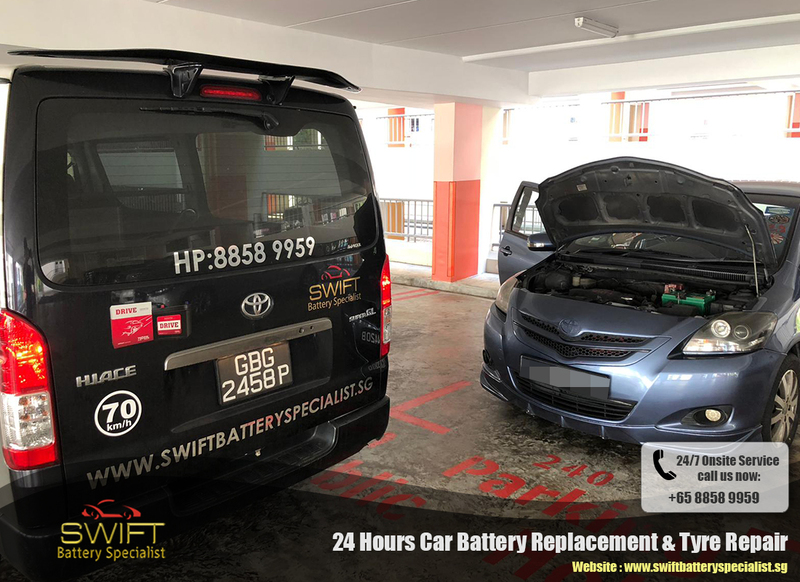 Trust Swift Battery Specialist and we get the work done. Price Start from as low as $50! 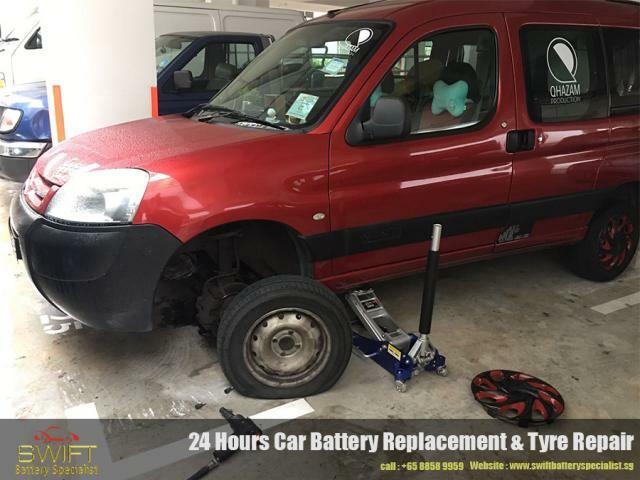 Flat Car Tyre because you accidentally or unknowingly ran over sharp nails, glass shards or etc? 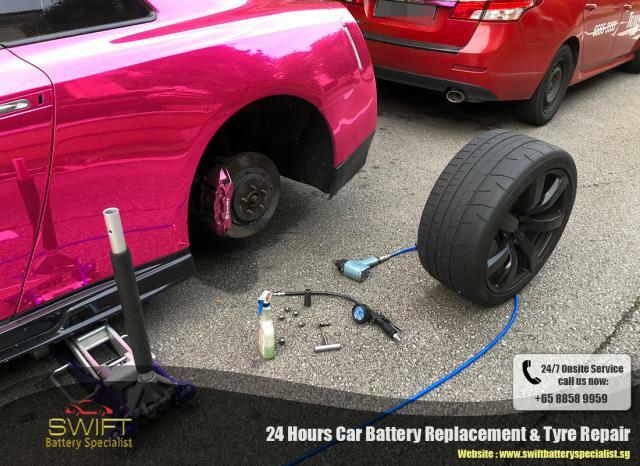 It might be too costly to change a whole new Car Tyre, we can help you to fix the Car Tyre hole! Our Car Tyre Repair solution will last forever without changing a new Car Tyre. 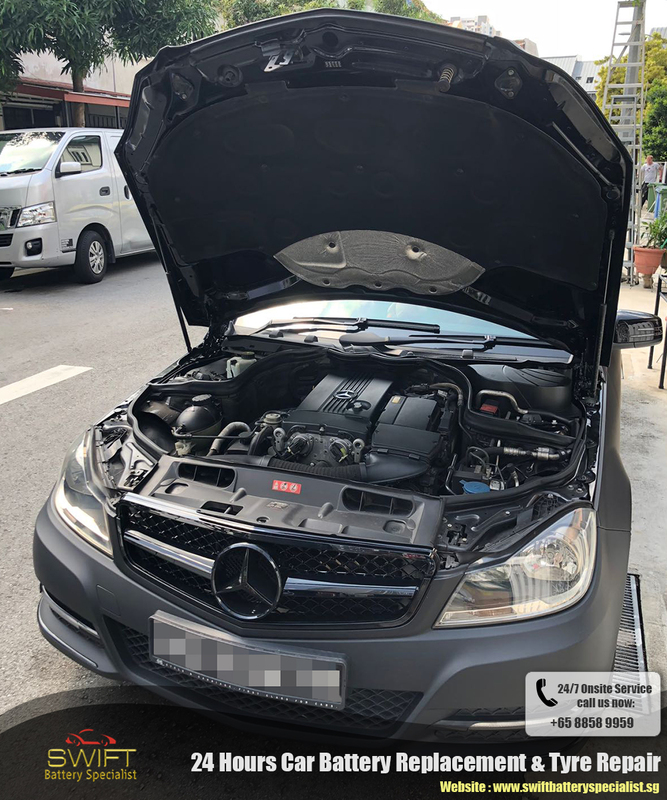 Repair cost start from $70 onward. 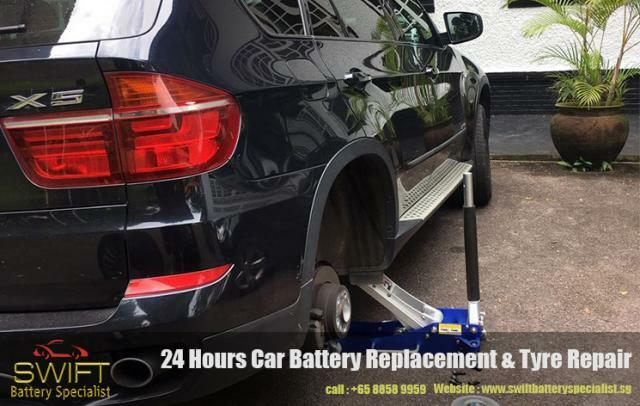 What if your Car Breakdown on road and Tyre is beyond repair? And worst, you have your own spare car tyre but don't have any tools to change it? Engage Swift Battery Specialist and we will get this done for you! DO NOT DRIVE WITH FLAT TYRE AS IT WILL DAMAGE YOUR RIM! Repair cost start from $70 onward. Tell us your problem and all information then we will diagnose remotely. We will determine the issue and advice further. We will ask for your details and also provide you with estimated arrival time. 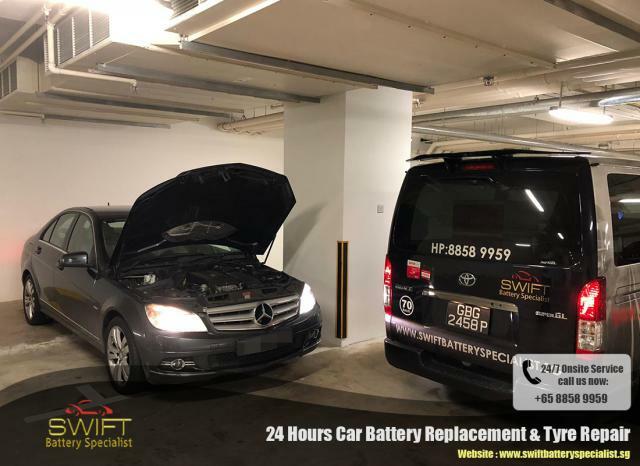 Swift Battery Mechanic will arrive onsite and fix your problem! Edited by Lightsabre, 20 August 2018 - 10:40 AM. 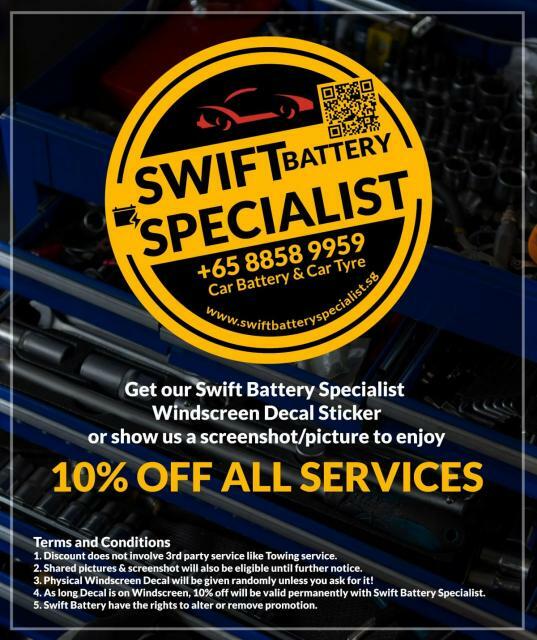 Engage Swift Battery Specialist and get 10% off all services! Call us at +65 8858 9959 now! How do you enjoy our great discount? Take a screenshot or save the picture. Inform us you have seen the discount over social media when you called us. Show us the screenshot/picture when our Swift Mechanic reaches your place. 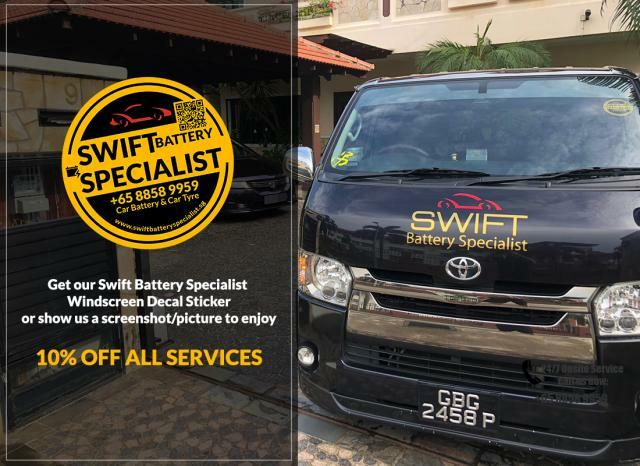 Ask for out Windscreen Decal! Edited by Swiftbattery, 18 August 2018 - 01:29 AM. 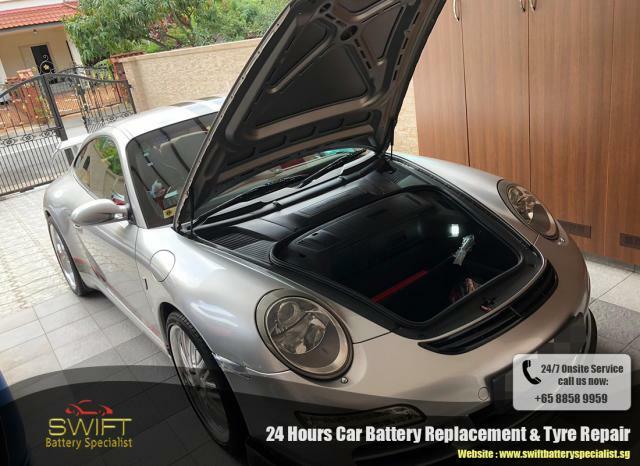 If your car is signalling you to change your Car Battery, get it fix as soon as possible! 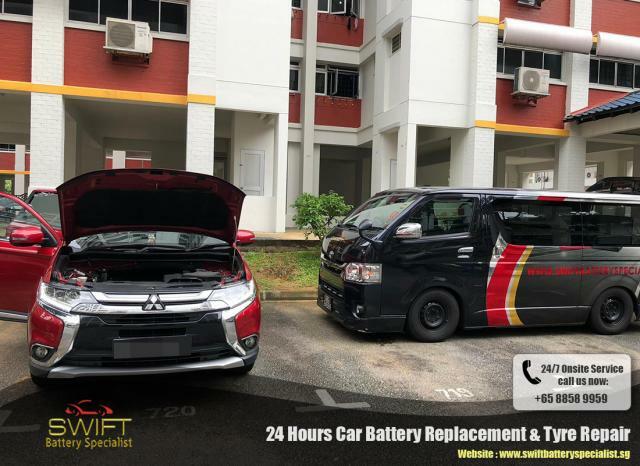 Engage us for Car Battery Replacement or Car Battery Jump Start service! 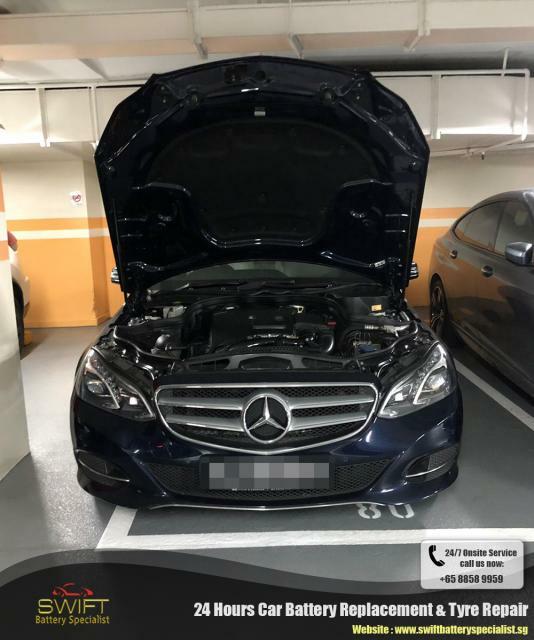 Latest onsite recovery, rescue to the action! 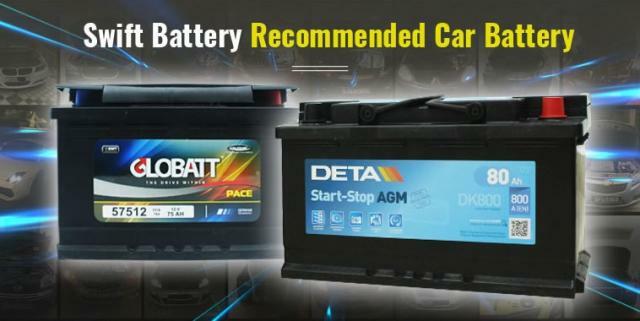 Contact us for our recommended, durable and excellent performance Car Battery! 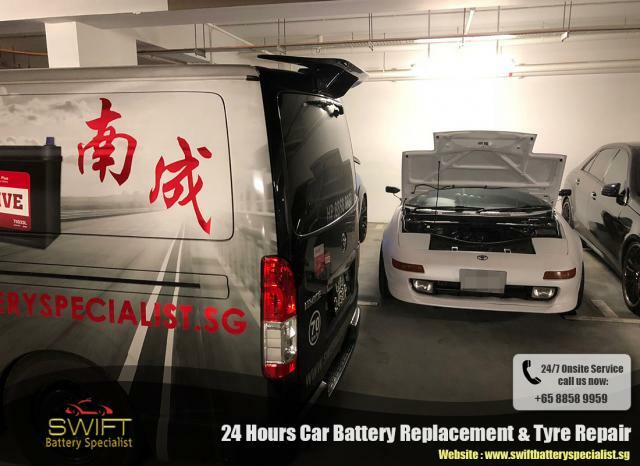 Edited by Swiftbattery, 22 August 2018 - 01:26 AM. Another day of onsite Car Battery replacement using Deta Original Made in German Car Battery! 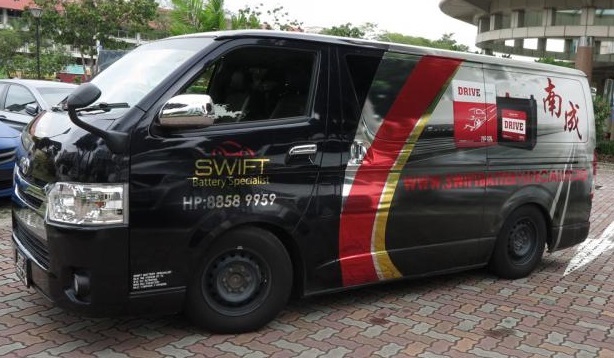 Call us at +65 8858 9959 and ask for pricing, no obligation! 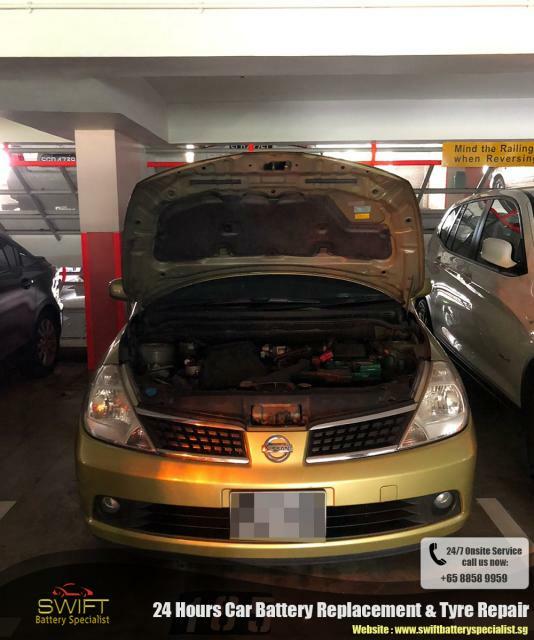 Use the parking brakes and do not smoke while changing the battery. 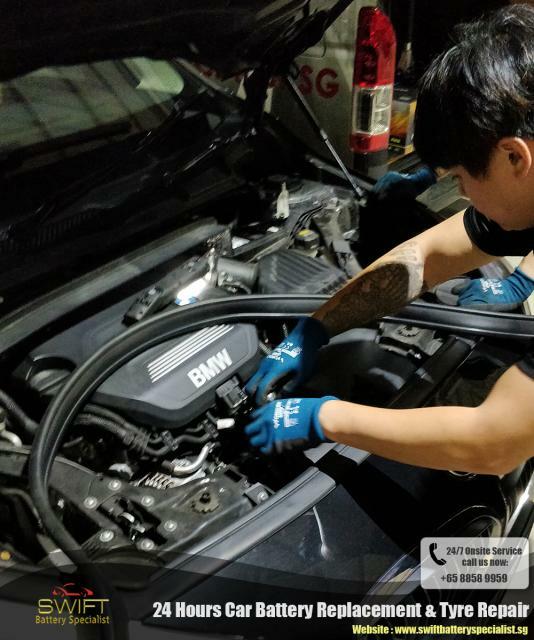 Use standard gloves, not only because the battery can burn but it has sulfuric acid which is highly corrosive. 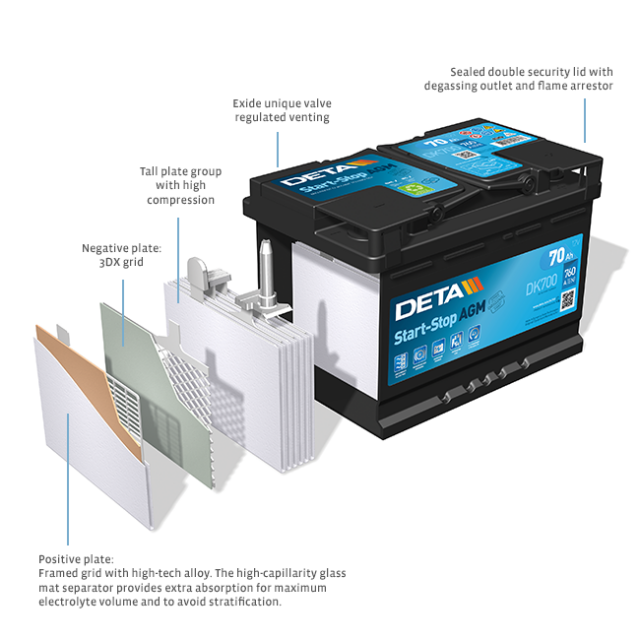 Deta, German Car Battery uses high performance components and materials and Swift Battery Specialist can assure that this battery is MADE IN GERMANY! If your car tyre punctured due to a minor hole, you don't need to change the whole tyre. 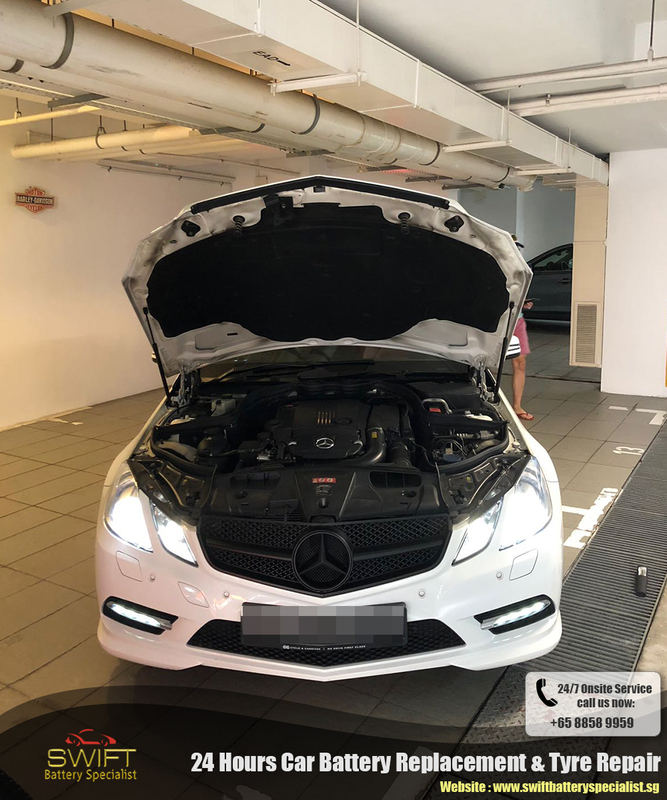 We can fix it for your and the fixed are for lifetime! But if it's beyond repair, we can help to replace your spare tyre if you don't have the necessary tools. 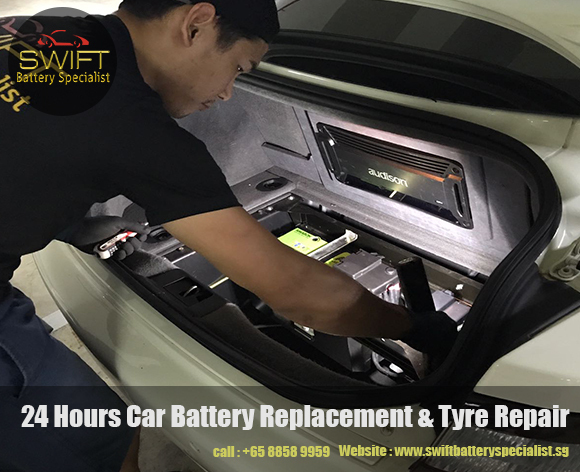 View more at https://swiftbattery...uncture-repair/ or call us at +65 8858 9959. 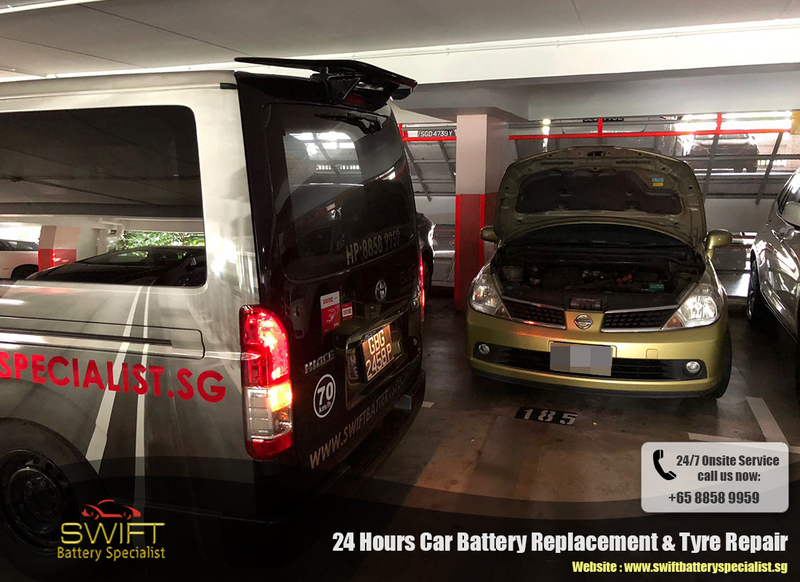 We are fast and accurate, trust Swift Battery Specialist!  Another great review from end user! 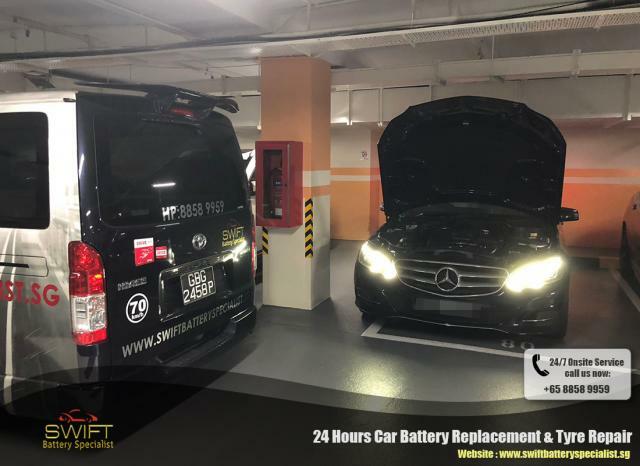 Not sure whether is it your car battery faulty? 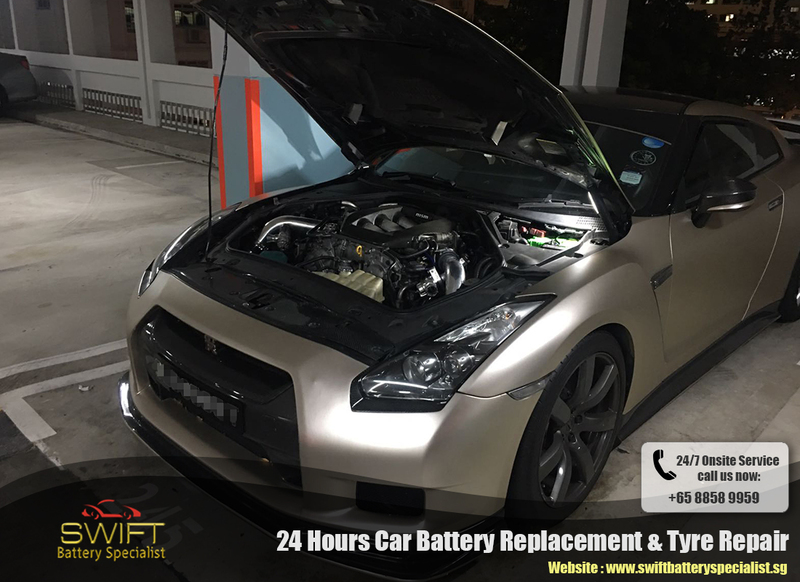 Call us at +65 8858 9959 and we will advice you. 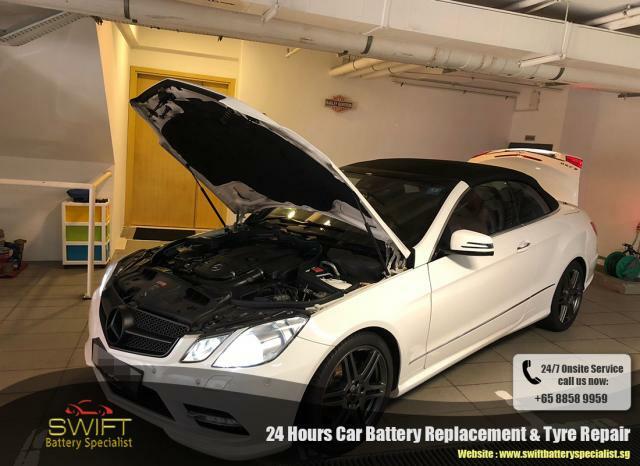 We use reliable and best performance Car Battery! Get our Made In Germany Deta Car Battery now! Show us our Decal from our Social Media page to get 10% off all services! 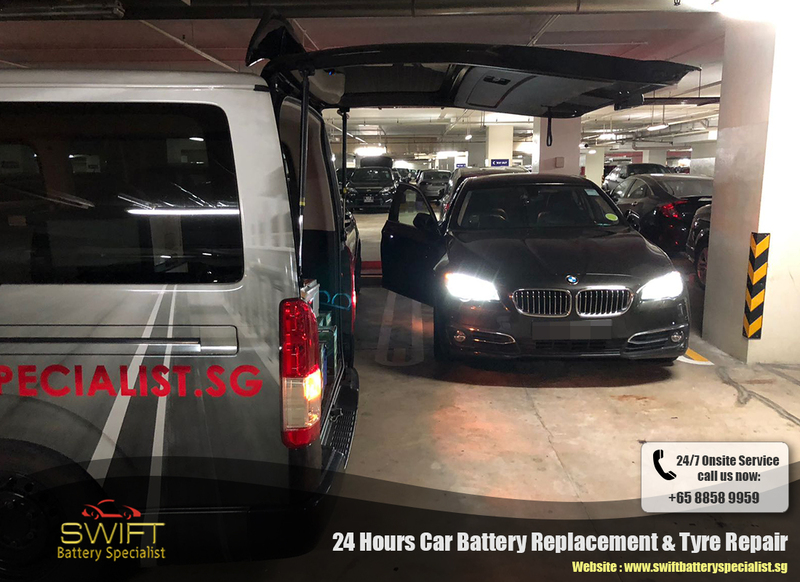 If you are going for vacation and will not be driving your car, remove those battery draining devices or remove your car battery. Otherwise, you will have to spend hundred of dollars to get another new battery. 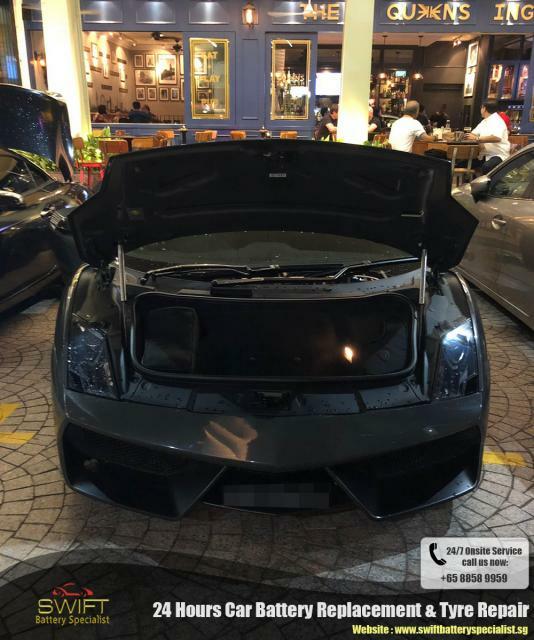 Do not make this mistake, if you need assistance call us at +65 8858 9959! 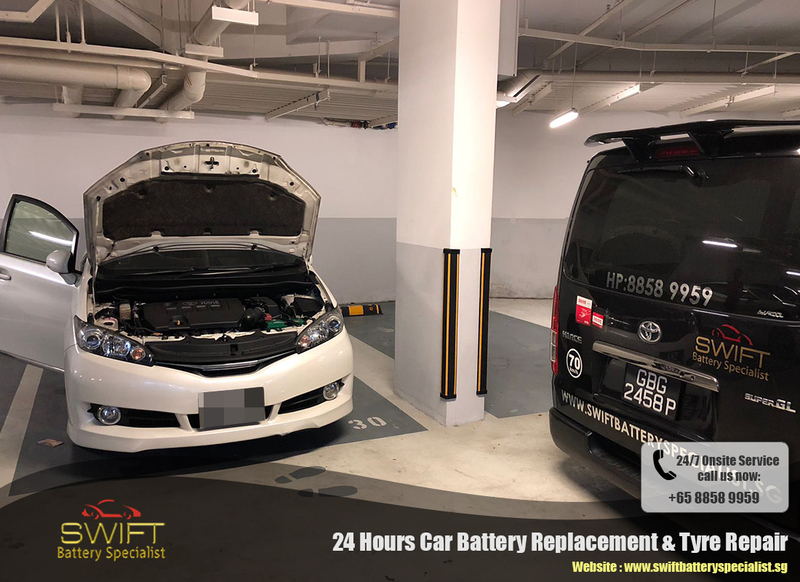 Car batteries come in different type and model. Newer car require Start-stop Car Battery which are slightly more expensive than conventional car battery. Yes! we provide service to normal sedan and SUV car as well! 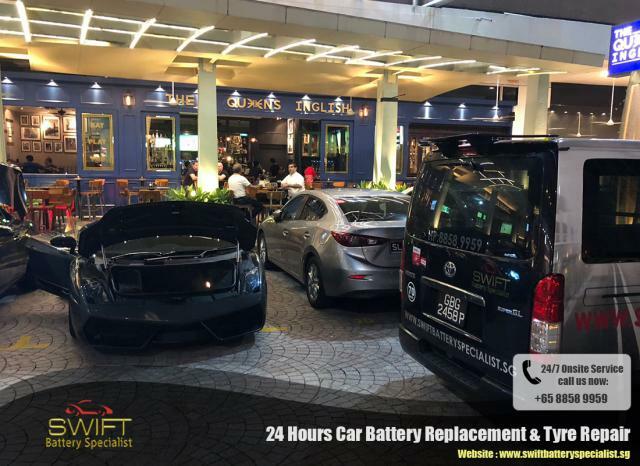 Best price guaranteed, premium car battery and professional workmanship! Visit us at https://swiftbatteryspecialist.sg for more info! Check your car tyre pressure every few weeks for a smoother ride and reduce your fuel consumption! Just in-case anything happen to your tyre, we do car tyre repair or spare tyre replacement! Call us at +65 8858 9959. 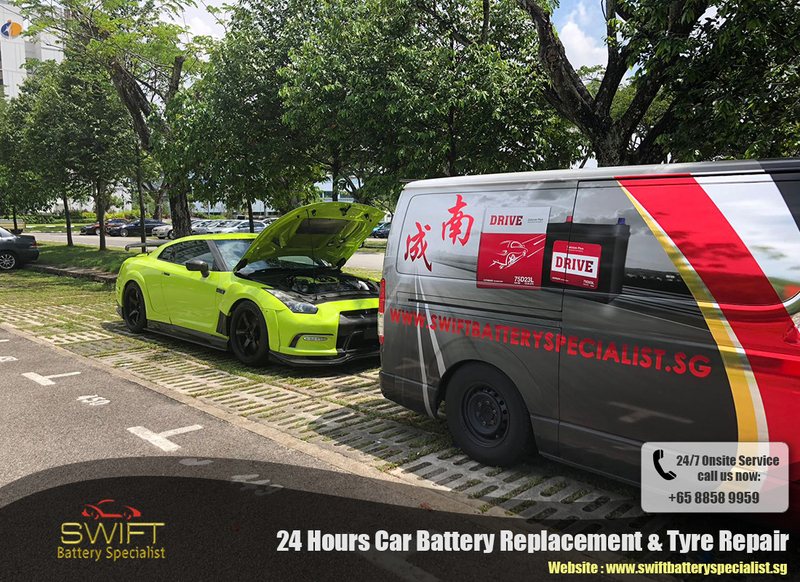 Contact us at +65 8858 9959 for Car Battery or Car Tyre services! Swift Battery Specialist will open 24 hours even on Public Holiday! 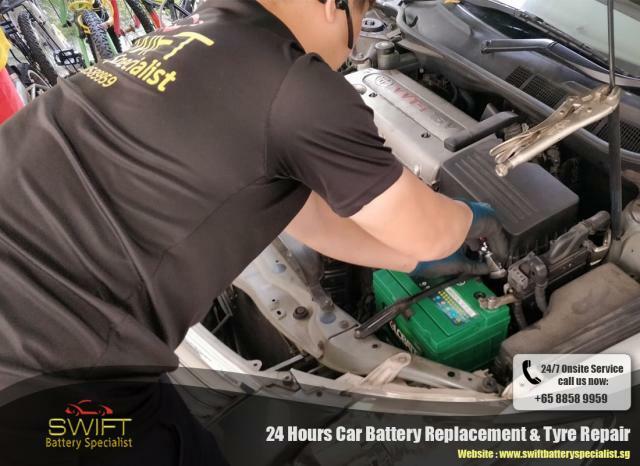 Give us a call at +65 8858 9959 for car battery replacement, car jump start and car tyre repair/replacement! Yes! Indeed there are many brand of car tyres however, there are also lots of type for different uses. 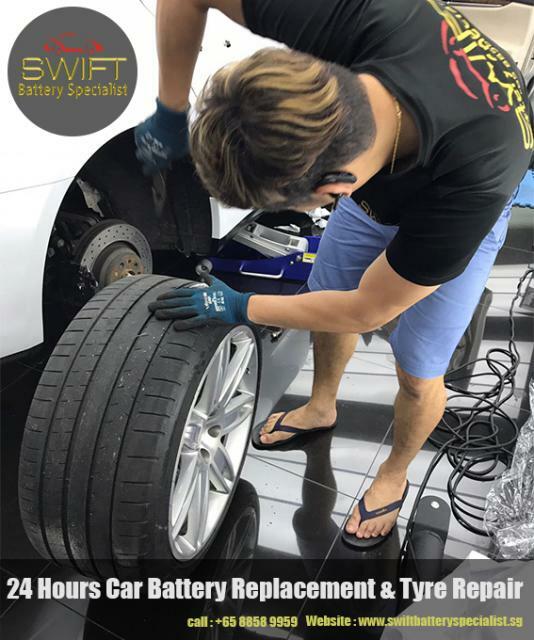 Call us at +65 8858 9959 for appointment booking now! If you need roadside recovery services like car battery replacement, car jump start, car tyre repair/replacement, you can contact us at +65 8858 9959! 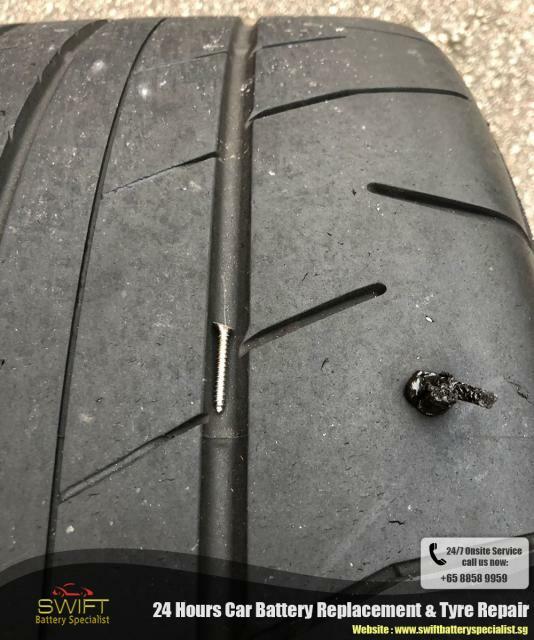 Never drive your car if your tyre is punctured otherwise, your rim will get damage! 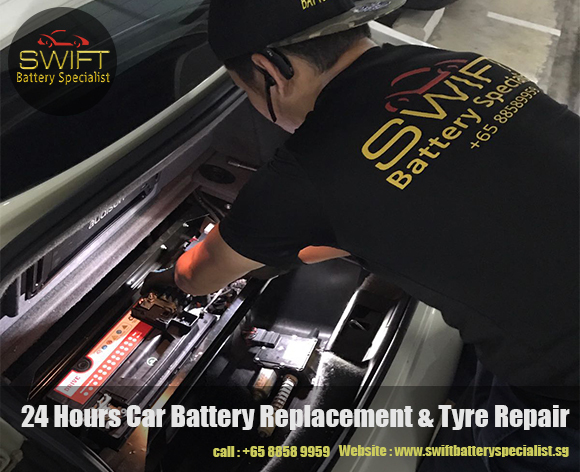 Call us at +65 8858 9959 for car tyre or car battery services!